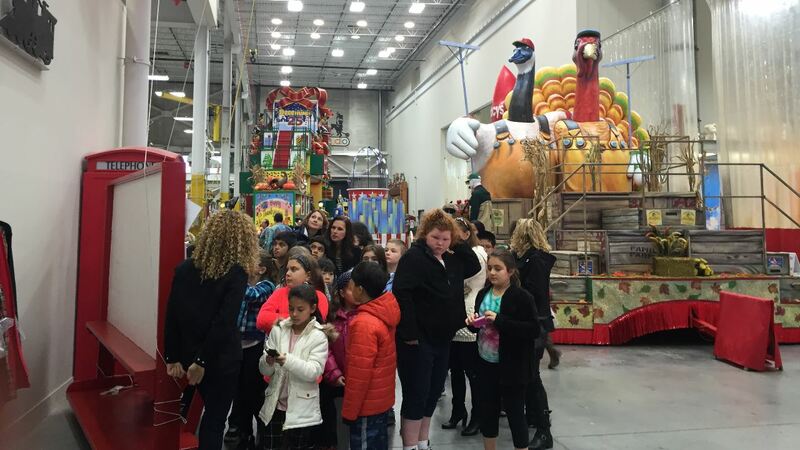 MOONACHIE, N.J. (WABC) -- Macy's gave children and Eyewitness News a sneak peek at its floats Tuesday in advance of the company's annual Macy's Thanksgiving Day Parade through New York City. The floats are constructed at a parade studio in Moonachie, New Jersey. We are nine days away from the big day, but one of the best days is this day, when they invite to school kids to come see all the work that's been going on. And one of the best parts is checking out their reactions and seeing which ones are the favorites, while they learn the magic. "How there's animation in there that makes their heads move," said 9-year old Meghan. "It's cool how they make the sculpture before they make the float," said 9-year old Lori. 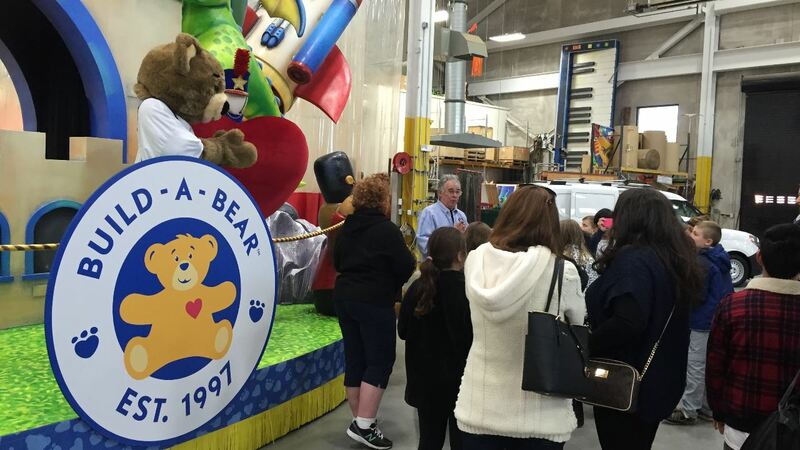 500 school kids are judge and jury for the pre-parade float check out at the warehouse, where the ideas go from rough drafts to the rafters. "We spend a lot of time kicking the tires. 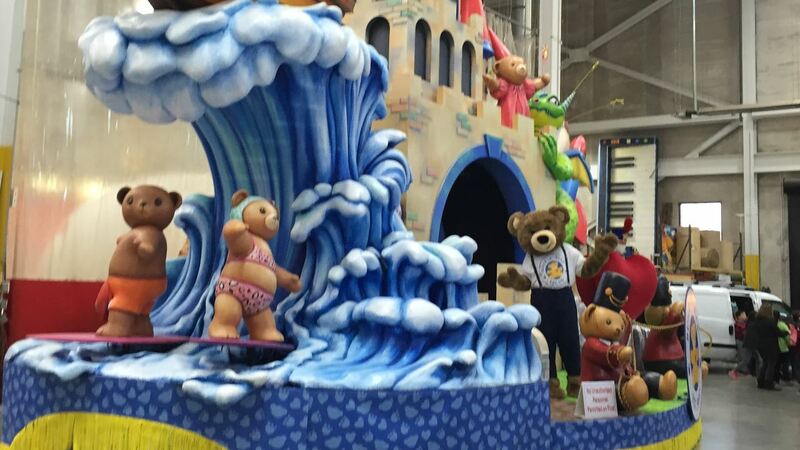 We want the floats to be big, to be dynamic," said parade executive producer Amy Kule. "They move, they spin, and the ultimate test are these kids." Building floats to wow thousands of people who will admire the moving calendar, Charlie Brown's Christmas with Snoopy in the house, and even Colonel Sanders. "We have a float with KFC, and it's Colonel Sanders journey to New York City," said John Piper, Vice President of Macy's Studio.